HSA vs. FSA – Which One Should You Get? Health savings accounts (HSA) and flexible spending accounts (FSA) both help people save for future medical expenses. These accounts also offer distinct tax benefits. But when deciding which one is really best for you, it’s important put them side by side and ponder the HSA vs. FSA match-up. Ultimately, your choice depends on your specific healthcare needs. Each account tends to benefit a different type of saver. So read on to learn all about the HSA vs. FSA comparison and which one’s attributes and rules best suit you. Let’s begin by exploring the distinct features of each account. HSAs offer many distinct advantages for consumers. Your HSA contributions and the interest they earn can cover eligible medical expenses, including ones your health insurance plan may not cover. 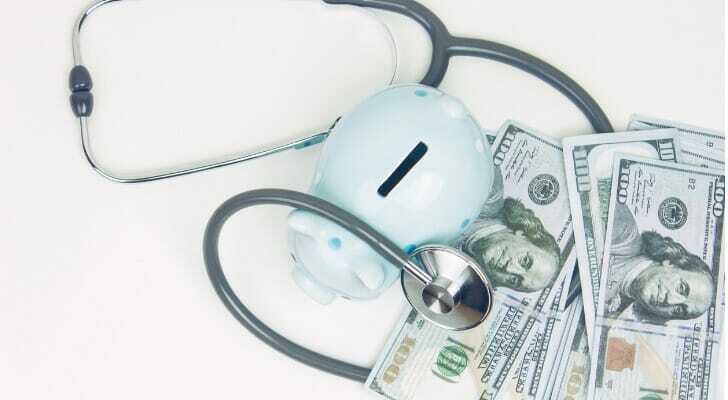 So an HSA can be a huge benefit in preparing for out-of-pocket medical costs. Contributions can lower your tax burden, because they come out of your income before the IRS taxes it. The money your account earns in interest, dividends or capital gains grows tax-free. Withdrawals are tax-free as long as you use them on qualified medical expenses. By contrast, with and FSA, you don’t need an HDHP to open an account through a participating employer. You can pair it with a low-deductible health plan. In this case, you may pay higher premiums. But you can reach your deductible and therefore insurance benefits sooner. And FSAs, like HSAs, allow pre-tax contributions and tax-free withdrawals for a wide range of qualified medical expenses, but there’s a major difference. Unlike with HSAs, your FSA contributions don’t earn interest. And because FSAs are employer-provided, you lose these accounts if you leave your job. You can open an HSA through an employer, bank or other financial institution. So they are yours to keep. HSAs also have another major advantage. Unlike with an FSA, the account balance on your HSA rolls over from one year to the next. In most cases, you forfeit your FSA savings if you don’t use them in a given year. Some employers allow you to rollover up to $500. Or they give you a grace period of as much as two months and 15 days to use what was left. Nonetheless, the HSA wins this round. As for what constitutes a qualified medical expense, HSAs and FSAs stack up pretty much on par with each other. In fact, the IRS is quite generous with its definition of what qualified medical expenses you can use your HSA or FSA to pay tax-free. Those includes several medical, dental and vision services including ones your health insurance plan doesn’t cover. Who Should Have an HSA? Generally speaking, HSAs tend to benefit people with predictable and infrequent health care needs. So if you’re generally young and healthy, an HSA may be right for you. In addition, these accounts best suit those who can save enough to take full advantage of tax benefits. By doing so, your money can grow to its full potential. And you can take a serious chunk out of your taxable income while covering your health expenses. But keep in mind that you can get HSAs only when you also have an eligible HDHP. For 2019, the minimum deductible for an individual account holder is $1,350 and the out-of-pocket maximum is $6,750. For family coverage, those rates rise to $2,700 and $13,500, respectively. Many might have trouble meeting high deductibles. And some may need more assistance than what’s allowed under out-of-pocket maximums for HSA qualification. So if you need frequent and immediate medical attention, an HSA may not be best for you. In addition, your plan must meet additional criteria the IRS sets in order to be HSA-eligible. For example, you can’t open an HSA if your HDHP covers a benefit other than preventive care before you meet your deductible. It also fails the test if it allows you to pay for non-preventive office visits through a copay before meeting your deductible. But don’t feel bad if you can’t open an HSA. On one hand, your HDHP may be more generous than most. But if HSAs sound appealing to you right now, check with your HDHP insurance carrier or employer to make sure it’s eligible to be hooked up with an HSA. And as long as your HDHP is eligible, you can open virtually any HSA account and even change accounts. So if you’re not satisfied with one provider you can kick off an HSA rollover and transfer your balance to an account with a better provider. Who Should Have an FSA? If you expect to have frequent and high medical costs due to something like a chronic illness, an FSA may be right for you. Remember, you can pair these with a low-deductible health plan. That means you can potentially meet your deductible faster. At the same time, you’d be saving for medical expenses and taking a few tax breaks. The trade-off is that you’d likely owe higher premiums. However, the benefit of being able to save for frequent medical bills may reverse this downside. So if you’re interested in opening an FSA, take action during your employer’s open enrollment period. Because FSAs are part of participating employers’ benefits programs, you can open one only during this time frame. If you miss the deadline, you’d need to wait until the next year. Exceptions exist when you experience life events such as having a child or getting married. With that said, the plan may also make sense if you have small dependents or ones who can’t physically take care of themselves. In this scenario, you can open a Dependent Care FSA. This type of FSA can cover certain services such as day care and after-school programs. You can also use this account to pay adult daycare services for elderly people who live with you. However, the FSA itself can’t cover the dependent’s medical expenses. You can use a standard FSA with family coverage (also called Healthcare FSA) for that. Can You Have an HSA and an FSA? The answer is both yes and no. For instance, you can open an HSA along with a Limited Expense Health Care FSA (LEX HCFSA). You can use this type of FSA account to pay for qualified dental and vision expenses. With this arrangement, you get additional tax benefits. Plus, you get to keep more of your HSA dollars for medical expenses. However, you can’t contribute to a regular healthcare FSA and HSA at the same time. And if you have an HSA, your spouse can’t have an FSA at the same instance. How to Open an FSA? You can open an FSA during open enrollment period if your employer offers one. Unfortunately, you can get one only through a participating employer. So if you’re lucky enough to work for a company that offers one, you should pay attention to open-enrollment period announcements. How to Open an HSA? Before you seek an HSA, make sure you’re enrolled in an eligible HDHP. Remember, simply having a high deductible won’t necessarily qualify you for an HSA. If your employer offers an HSA, you should be in the clear. But if you have a plan outside your employer’s options, check in with the benefits department to make sure you’re eligible to open an HSA. But all you really need to open an HSA is an eligible HDHP. With that, you can open an HSA at most major banks and financial institutions. Nonetheless, you should shop around. Some offer better interest rates. Others may charge high fees or require large minimum balances. Some financial firms invest your money in mutual funds, so it’s crucial to pick one that matches your risk tolerance. 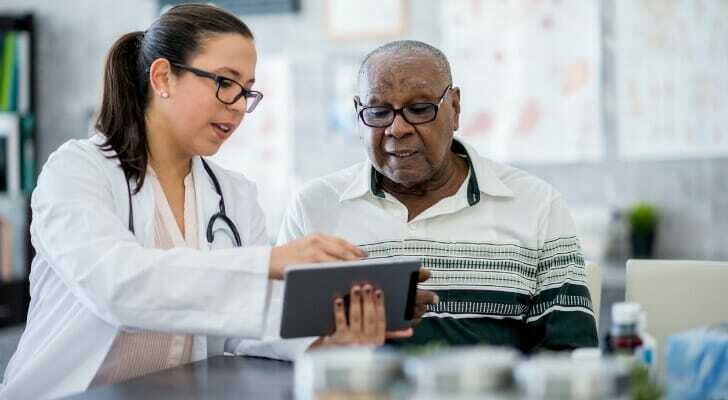 HSAs and FSAs both serve as beneficial savings accounts that provide distinct tax benefits and help you pay for a wide range of medical expenses. However, neither is a one-size-fits all solution. In general, HSAs are better for younger, healthier people with predictable medical needs. It also helps if you can contribute enough each pay period. If you can meet the HSA maximum contribution each year, then more power to you. But an FSA may be a better fit if you frequently need medical attention. You can link it with a low-deductible health plan and claim your insurance benefits that much sooner. Regardless of whether you’re investing in an HSA or an FSA, you should contribute the most you can. For 2019, the IRS set contribution limits for HSAs at $3,500 for single coverage (up $50 from 2018) and $7,000 for family coverage (up $100 from 2018). Healthcare and Limited Purpose FSA limits for 2018 stand at $2,650. Healthcare is as important as it is complicated. To help you make the best decisions, we examined the 10 health insurance terms you should know. Some HSAs invest your money in mutual funds and other financial products. So it’s important you pick one that matches your risk tolerance. Our asset allocation calculator can help you find an investment mix that may work best for you. 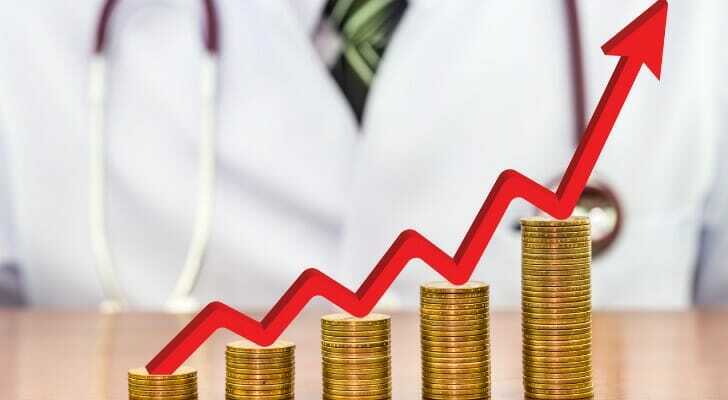 Investing in HSAs and FSAs can be very beneficial. But it can also be complex. If you need professional assistance, we can give you some pointers. Our SmartAsset financial advisor matching tool can link you with up to three local financial advisors who can guide you through each step.